The Flourishman has done it again! Wall-to-wall non-stop action! 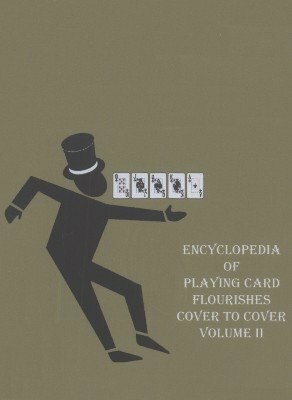 See the Flourishman perform every flourish in Chapters 4 through 6 of his comprehensive manual of artistic card manipulation: The Encyclopedia of Playing Card Flourishes . Not only that, but there are performance tips, advice on body and hand positioning, even tips on how to keep the deck square. See stunning routines, including the signature "Twist Cut" routine. See loads of never-before published stunts like the Double Arm Roll Fan Close, the Behind-The-Head Deck Catch, the New Fan Spin and New Fan Spin Close, the Corner To Corner Twirl, the 720 Degree Deck Catch and much more! This second performance-only DVD is a companion to the book itself, which painstakingly teaches every flourish. The flourishes themselves are not taught on this DVD. Just seeing the flourishes in motion and in routines will reveal a wealth of priceless information available nowhere else. And no one but the Flourishman has the endless supply of moves to delivery so much variety at such a manic pace!